This entry was posted in Bach, Johann Sebastian, Musical ensemble, Piano and tagged educational material, ensembles, Music score, Piano, Sheet music on 18.01.2017 by admin. 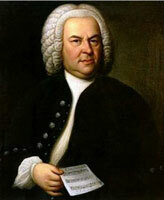 This entry was posted in Bach, Johann Sebastian, Invention, Piano and tagged Bach, educational material, Invention, Piano, Sheet music, Sinfonia on 05.01.2017 by admin. This entry was posted in Allegro, Bach, Johann Sebastian, Folk Music, Piano, Polyphonic works and tagged allegro, Bach, Piano, Polyphonic work, Sheet music on 08.12.2016 by admin.